Besides the obvious (looking at you, Google Maps and Yelp), I went hunting for the best Android apps. The criteria: After having it, not being able to live without it. Google Now is the perfect picture of responsive and adaptive technology. Google Now analyzes the behavior of your phone-use and tells you the weather, how much traffic to expect before leaving for work, how long it will take you to get home, etc. The timing is impeccable and it all happens automatically. While you’re getting ready to head out the door, you’ll click on Google Now to see the weather, traffic and transit times according to your location. Throw in sweet reminders of package deliveries and nearby upcoming events, and you get an app that will surprise you with how helpful it is. Where’s My Droid finds your phone. It will turn the ringer volume up and make your phone ring. The app can also get the GPS coordinates with a link to Google maps. If you find yourself asking, “Where’s my phone?” more often than you’d like, this app will answer. Upon misplacing your android, you can text your number from a friend’s phone and either wait for it to ring or receive its exact location. If you don’t think that’s helpful, then you’re probably a very put-together person and I’d like some of your DNA. Never wake up in a panic again with Sleep as Android. This app goes above and beyond your normal alarm clock. Sleep as Android tracks your sleep cycle and wakes you gently in your light sleep phase so that you always have a pleasant morning. Its features include a sleep graph history and REM statistics, nature sounds, CAPTCHA to get you to wake up on time, snore recording and more. According to the developers, waking up in light sleep can be compared to the experience of waking up without an alarm clock – and this is the reason why this app has made me a morning person. 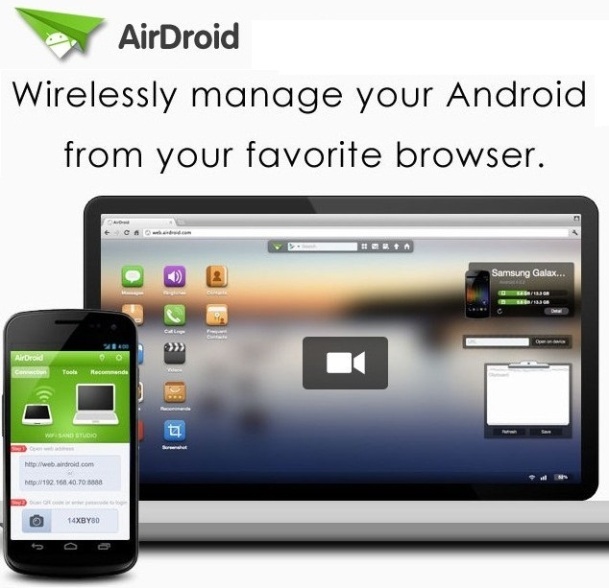 AirDroid syncs your android to your laptop, and allows you to perform almost all phone functions (texting, etc.) from your computer. If you work from a desk most of your days, having your apps synched across multiple devices will change the way you communicate and respond to alerts. I, like many, find it easier to type from a properly sized keyboard. Since I’ve been using it, my conversations have been flowing more smoothly and abundantly. Record random thoughts across all of your devices with EverNote. The modern technological evolution of the old pen and paper – except you can record voice, take snapshots and sync with your friends, colleagues and other devices. It’s nice to know that whatever brilliant idea pops into your head can be found again. SwiftKey is a smart, learning keyboard that predicts the next word you want to use before you even begin to type it. This one’s paid, but a one-time $3.99 fee is worth how much it’ll change the way you type. Sarah Khogyani is a graphic designer and marketing specialist. She enjoys producing videos, documentaries and blogging about business software. She works for AffinityLive, an all-in-one, integrated platform for managing client work. Visit her LinkedIn or company website.